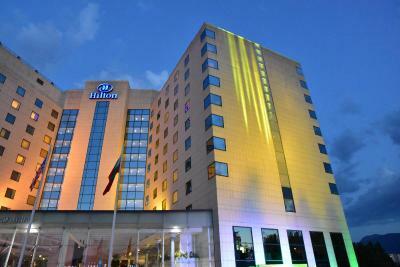 Lock in a great price for Hilton Sofia - rated 8.5 by recent guests. Very good staff, friendly, polite and efficient. 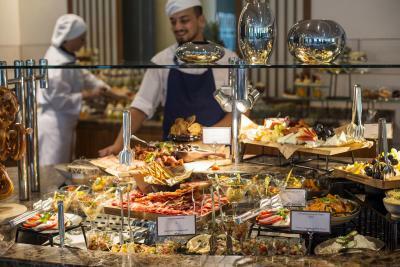 Excellent breakfast buffet with good service. Very comfortable room. Loved the TV speaker extension in the bathroom. Very good airport pick-up service. 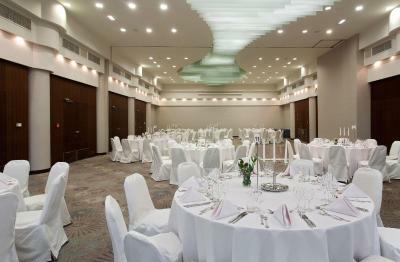 Very good Business Hotel, perfect placed in the city for a food walk to the centre. Executive rooms get access to the executive lounge, which is very good for a small breakfast or snack. The hotel was great. We loved our room, it was quiet and with the great view of the city. It was spotlessly clean and comfortable. The bed was large and the bathroom was very clean and spacious. The staff was very helpful and we really enjoyed our stay. The breakfast was great, with many options. 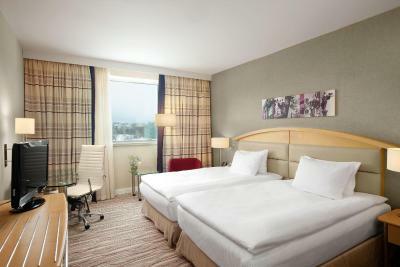 The hotel is only a short walk from the city center and through the nice park and pedestrian zone. 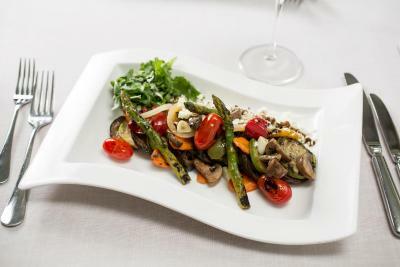 The banista prepared was very good , a perfect Bulgarian dish. 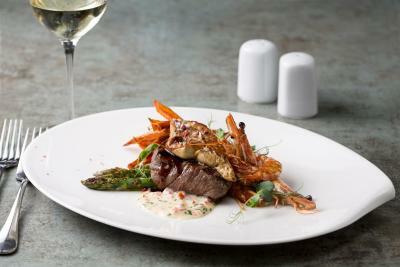 Chef was fast in preparing things. The suit is the biggest in Sofia. The bed is cosy and very good for sleep. The coffee house works at odd hours. 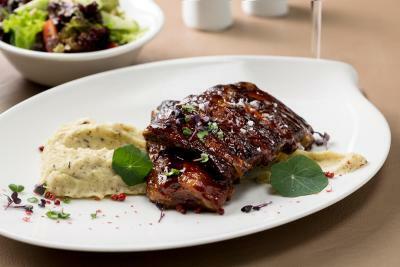 The Lounge facility had all types of food available which was good collection with a perfect idea of taste of guests. Everything was great. Good value for money. We eere nicely taken care of. Loved the trip. Thanks. Very good location. 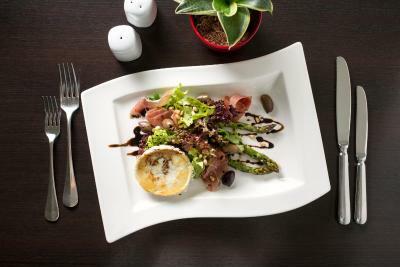 Breakfast offers a variety of choices and live cooking for eggs and omelettes. 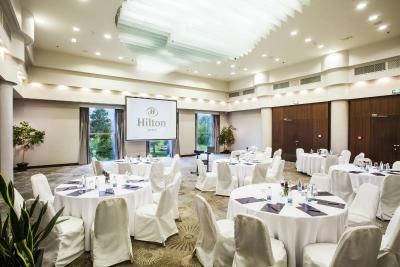 Opposite the National Palace of Culture and within 10 minutes on foot from the very heart of the city, Hilton Sofia is surrounded by the South Park and overlooks Vitosha Mountain. Free bicycle rental is provided from April until October. The Art Deco-style rooms feature satellite flat-screen TV, bathrobes and tea/coffee makers. 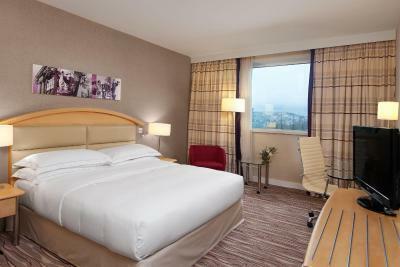 They are equipped with comfortable Hilton Serenity beds and ergonomic desk chairs. The spacious bathrooms come with a walk-in shower, bathtub and free toiletries. Free, standard WiFi access is provided throughout the property, while guests also have the option of a premium, high-speed WiFi at extra cost. 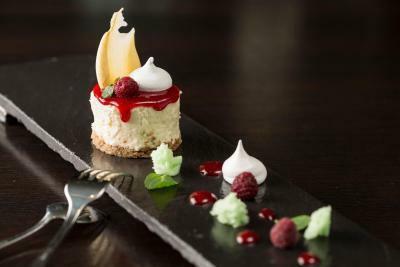 The Hilton Sofia houses the Seasons Restaurant as well as the Artists Bar & Café. 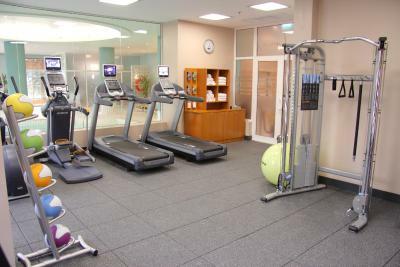 There is a beauty salon, a 24-hour gym and a heated indoor pool at your disposal. Daily airport shuttle is offered upon request. 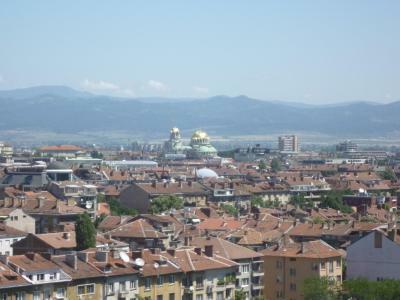 This is our guests' favourite part of Sofia, according to independent reviews. 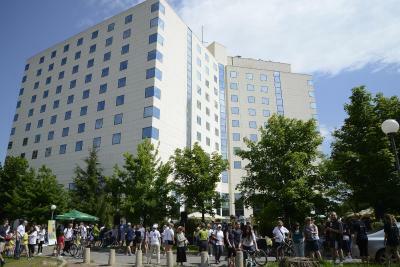 Hilton Sofia has been welcoming Booking.com guests since 31 Jul 2009. 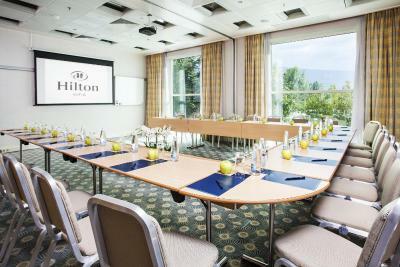 When would you like to stay at Hilton Sofia? 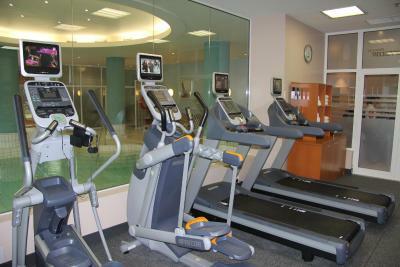 Large and newly renovated room on the top floors including free internet access. 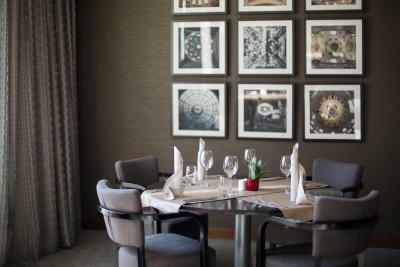 You can take advantage of Executive Lounge access with free breakfast and refreshments. Please note that free standard WiFi access is provided. Guests also have the option of a premium, high-speed WiFi at extra cost. Private parking is possible on site (reservation is not needed) and costs EUR 12.78 per day. Art Deco-style, separate working area, soundproof windows, bathrobe. City/mountain views or walk-in shower. 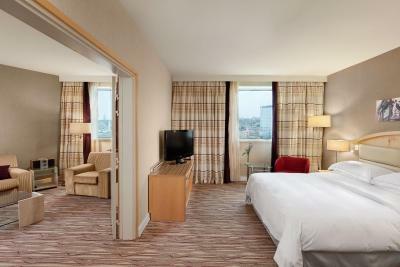 Newly renovated, comfortable Hilton Serenity beds. Private check-in and 1 clothes pressing per stay are included. 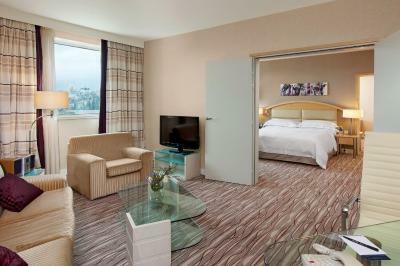 Newly renovated spacious room on the 6th and 7th floor with panoramic views of the city. This room features a seating area with a flat-screen satellite TV and a sleek bathroom. 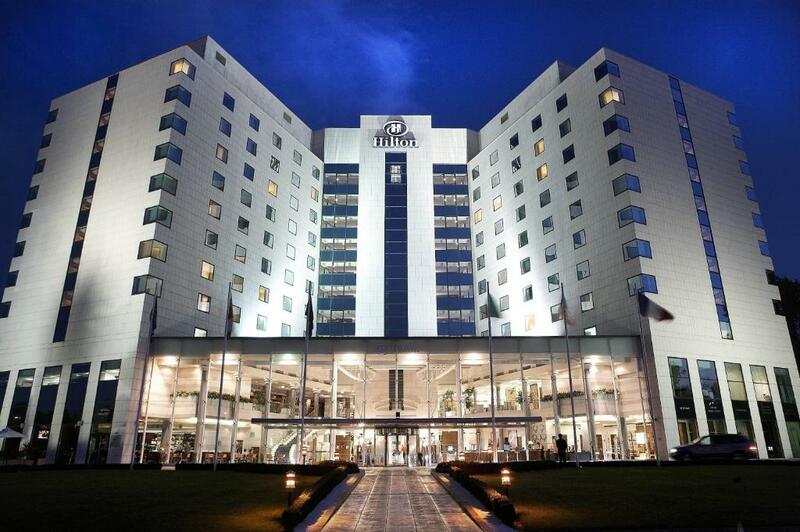 With flat-screen TV with satellite channels, and a sleek bathroom with bathrobe and slippers. 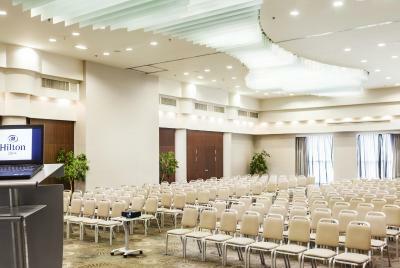 Hilton Sofia has the perfect location in the heart of the city, surrounded by the South Park and overlooking the Vitosha Mountain. 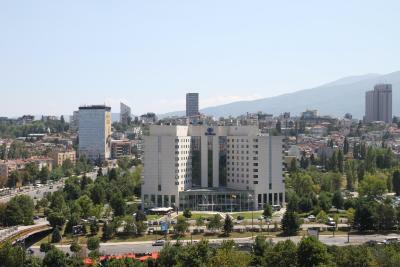 Hotel guests are near the commercial district and government offices. 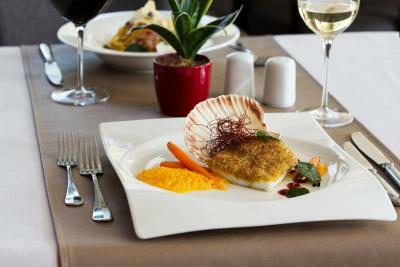 Boutiques, restaurants and nightclubs are within walking distance, while Sofia International Airport lies 13 km to the east, an approximate 15 minute transfer. 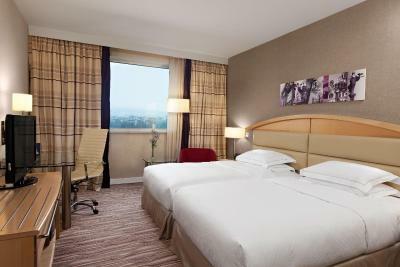 With 245 rooms on 8 floors, equipped with the most modern in-room facilities, Executive Floors, Executive Lounge and Health Club with relaxing pool, Hilton Sofia is the perfect choice of the modern traveler. House rules Hilton Sofia takes special requests - add in the next step! All children under 16 years are charged EUR 22 per night for extra beds. 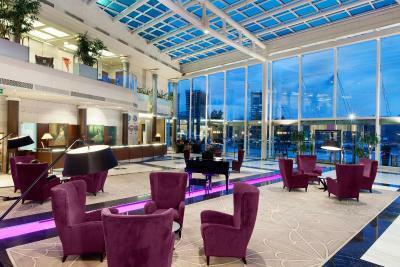 Hilton Sofia accepts these cards and reserves the right to temporarily hold an amount prior to arrival. These are suggestions rather than complaints. Based in Bulgaria, the hotel toiletries could have had a local touch (Bulgarian rose!) but they were all the same Hilton group hotel toiletries like elsewhere. Though i did not use it, i was informed that the hotel's own airport transfer costs 15 euro per person on a shared taxi. In a city like Sofia where a private taxi costs around 15 lev to the airport from the hotel, that is considerably high. However if you ask the staff, they do help you in booking a private taxi. 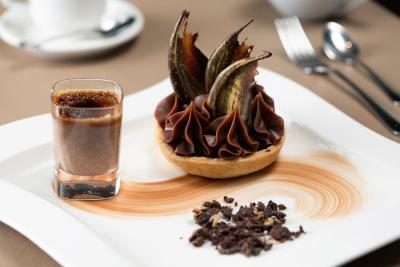 Staff: The staff in the reception, house keeping & restaurant (the ones that i interacted with) were all very helpful and friendly. Breakfast: The breakfast is decent with a wide spread and the service in the breakfast area is also quite excellent. 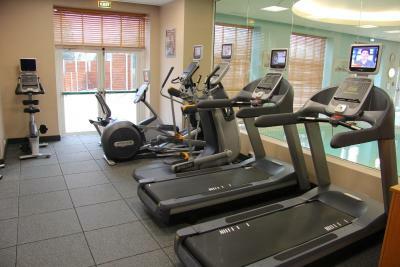 Location: The hotel is quite centrally located and is within walking distance to the Center. There is a metro quite nearby, if you choose to use the public transport. I haven't yet got my hilton reward points credited. Breakfast was good, staff was helpful but the rates were steep. Pillows either too stiff or too soft! Taxi management by the doorman could be better. One day I had to wait nearly 20 Minutes in very cold weather. room was cold and there wasn't window, only glass so it's impossible to open window and get fresh air. Very good location, safe parkig, helpful stuff. Not really that important, but the spa/relax area could be a bit more intimate and with dimmer lights at night. The first morning at breakfast I had to point out that the scrambled eggs were off (Rotten eggs).